When asked who were the greatest allied generals of World War II, most people would immediately think of Patton, Eisenhower, MacArthur, Montgomery, among others. And rightly so. Their brilliant strategies paved the way towards impressive victories for which they will forever be remembered and glorified. During World War II all eyes were on the superpowers - the United States, Great Britain, and the Soviet Union but the war was not won by a handful of generals. Many other Allied Generals equally meritorious of recognition had made invaluable contributions to the allied war effort. Beneath the veneer were veritable legions of smaller armies of great soldiers led by generals who served with every bit of courage, military brilliance, and greatness, but whose names have since been forgotten. Poland was one such nation. Polish military officers of WWII, and the men who followed them have become legendary for their ability to wage battle against even the most powerful of foes. It has always been so. Napoleon Bonaparte had once remarked upon seeing the Polish Legions in battle, that the power of 1,000 Polish soldiers was like that of 10,000 men, so fierce was their motivation to fight and win, whatever the odds. 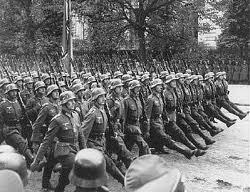 When Germany invaded Poland on September 1, 1939, they expected the Poles to surrender in a matter of days, if not a week. 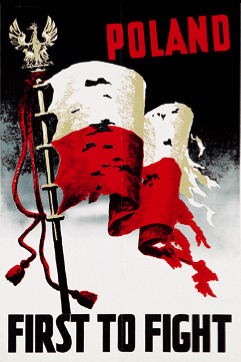 But the Soviet invasion on the 17th of September made it imperative for Polish armies to withdraw immediately. Though Poland was jointly occupied in the west and east, and Warsaw had capitulated on September 29th, multitudes of Polish armed forces had re-assembled on foreign soil to continue to do battle against the enemy. To the world, Poland had been conquered. But to the Polish armies, the battle was just beginning. 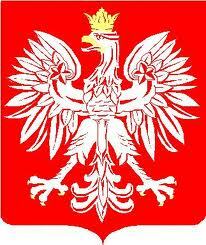 Numerous Polish generals had served Poland with great distinction in both world wars, including the Polish-Soviet War. This special series focuses on four of Poland's greatest generals of WWII, the battles they fought, (both on and off the battlefields), their struggles, and the men whom they led to victory. SIKORKSI, ANDERS, MACZEK, and SOSABOWSKI were Polish Generals during World War II. What made them so great lay beyond immediate perception. History has taught us a standard that a great general is one who has been able to conquer, subdue, and destroy the multitudes of peoples. But true greatness does not portend invasion and destruction, but rather the ability to face calamity head on and fight against it with valor and honour. Wladyslaw Bortnowski (1891-1966) was one of the highest ranking generals in the Polish army during WWII. He commanded the Pomorze army, and managed to save a large number of his troops from enemy fire, withdrawing southwards with them to take part in the Battle of Bzura in the September Defensive wars. 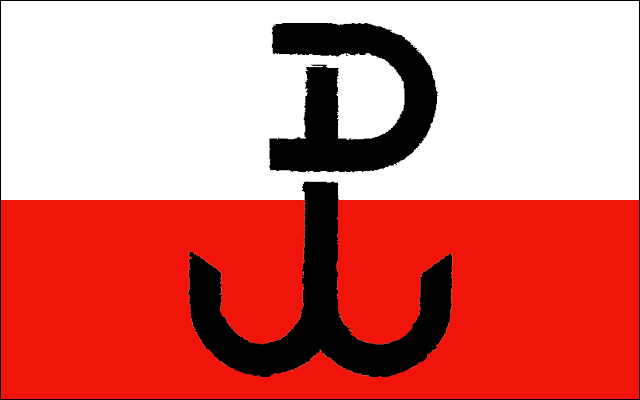 Initially, the Polish forces achieved success but ultimately failed under a barrage of German counter-attacks. Bortnowski was heavily wounded and taken prisoner by the Germans. He survived the Nazi POW camps and was liberated in 1945. Awards and Decorations: Virtuti Militari (Silver Cross); Commander of Legion of Honour (France); Cross of Independence, Commander's Cross with Star of Polonia Restituta; Cross of Valor (4x) and Gold Cross of Merit. Antoni Chruściel(1895-1960) was commander of the Polish underground forces which fought in the Warsaw Uprising of 1944, as well as the Chief of Staff of the Armia Krajowa (Home Army). Chrusciel and General "Bor" Komorowski had ordered the full mobilization of troops on August 1st at 17:00 hours. The objective to liberate Warsaw, and all of Poland ended tragically 63 days later. Despite promises by the British and American allies to provide assistance and military intervention to the Polish insurgents, none ever came. Chrusciel was captured by the Germans and spent the rest of the war in POW camps until liberation in 1945. Awards and Decorations: Knight's Cross of Order of Virtuti Militari; Gold Cross of Order of Virtuti Militari; Silver Cross of Order of Virtuti Militari; Grand Cross of the Order of Polonia Restitua; Cross of Independence; Cross of Valor (4x); Gold Cross of Merit; Armia Krajowa Cross; Medal of Ten Years of Regained Independence Commemorative Medal for War 1918-21; Bronze Medal of Valor (2x); and the Yser Medal (Belgium). Boleslaw Bronislaw Duch (1885-1980) was a Major General. When Poland was invaded in 1939, Duch was able to evade capture by the enemy and withdrew to western Europe, where he served in France as commander of the Polish 1st Grenadier Division in 1940, the 1st Rifle Brigade of the 1st Polish Corps in Scotland (1942-43), and the 3rd Carpathian Infantry Division of the 2nd Polish Corps (1943-46). Awards and Decorations: Knight's Cross of Order of Virtuti Militari; Gold Cross of Order of Virtuti Militari; Silver Cross of Order of Virtuti Militari; Commander's Cross with Star of the Polonia Restituta, Cross of Merit with Swords, Cross of Valour (8x), Cross of Independence, Gold Cross of Merit with Swords, Gold; Cross of Merit, Military Cross, and Inter-Allied Medal. Emil August "Nil" Fieldorf (March 20, 1895 - February 24, 1953) was a Brigadier General and Deputy Commander-in-Chief of the Armia Krajowa (Home Army). During the invasion of Poland, he commanded his regiment but was defeated by the Germans on the night of September 8-9, 1939. He attempted to escape, dressed in civilian clothing but was arrested at the Slovak border and interned. Several weeks later he escaped and joined the Polish army in France. After several months he made a perilous circuitous route back to Poland and joined the Polish Underground. A year later he was given command of the Kedyw (Special Operations executive). He planned and instigated the successful assassination of Nazi SS Franz Kutschera on February 2 1944. After the tragic collapse of the Warsaw Uprising, Fieldorf was arrested by Soviet NKVD and sent to a labor camp. At the time the Soviets did not know his real identity and had released him in 1947. But he was recaptured in 1948 as a result of a false offer of "amnesty" subjected to a mock trial. He was executed on April 16, 1952. Awards and Decorations: Gold Cross of Order of Virtuti Militari; Silver Cross of Order of Virtuti Militari; Cross of Independence; Knight's Cross of the Order of Polonia Restituta; Cross of Valour (4x); Gold Cross of Merit; and Merit Forces Central Lithuania.The Order of the White Eagle was conferred posthumously in 2006. Michal Tadeusz Karaszewicz-Tokarzewski (January 5, 1839-May 22, 1964) was a General who founded the resistance movement "Polish Victory Service". During the September Campaign of 1939 he commanded the Operation group of the Armia Pomorze (Pomeranian Army). He fought in the Battle of Bzura and the Defense of Warsaw, serving as second-in-command of Armia Warszawa, under the command of General Juliusz Rommel. At the end of September he became commanding officer of the "3rd Lwow area of the ZWZY" but was arrested and imprisoned by the Soviet NKVD. After his release from prison in 1941, Michal was given command of the "6th Infantry Division" of the Polish Army in Russia, that came to be known as "Ander's Army". 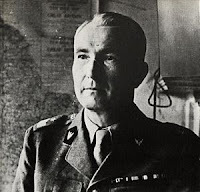 From March 1943 until the following year he served as second-in-command of the Polish Army in the East, and in 1944 became commander of the 3rd Polish Corps formed in Egypt. After the war he remained in London in exile. Awards and Decorations: Commander of the Virtuti Militari Order; Commander of the Order of Polonia Restituta; Cross of Independence with Swords; Cross of Valor (4x); Gold Cross of Merit with Swords (2x);and the Order of the White Eagle (conferred posthumously in 1964). Tadeusz Pełczyński (February 14, 1892-January 3, 1985) was a General, intelligence officer and Chief of the Polish General Staff, Section II (Military Intelligence). He was also Chief of Staff, and Deputy Commander of the ZWZ Armia Krajowa (Home Army). Pelczynski commanded numerous sabotage operations conducted by special Kedyw units which succeeded in destroying thousands of enemy targets, including railway lines and transport vehicules of the German Wehrmacht. He took part in the Warsaw Uprising, but five weeks into the fighting he was gravely wounded when the PKO bank on Swietokrzyska Street was bombed. When the Uprising came to an end, Pelczynski was taken prisoner by the Germans and interned at concentration camps at Langwasser and at Colditz. He was liberated by the allies in 1945. Pelcyznski's greatest contribution to the war effort occurred just shortly before WWII broke out. It was his wish that the Enigma Secret (which the Poles had cracked) should be smuggled out of the country and given to the British as a gift. Had it not been for the Polish contribution, the war might have been lost.Gordon Welchman, former mathematician-cryptologist of Britain's Bletchley Park wrote thus: "Ultra would never have gotten off the ground if we had not learned from the Poles, in the nick of time, the details both of the German military [Enigma Machine] and of the operating procedures that were in use." Awards and Decorations: Gold Cross of Order of the Virtuti Militari; Silver Cross of Order of Virtuti Militari; Cross of Independence; Officer's Cross of the Order of Polonia Restituta; Cross of Valour (3x); Gold Cross of Merit; and Home Army Cross. Ludomił Antoni Rayski (1892-1977) was a Polish pilot, engineer and military officer. During the interwar years he served as Commander of the Polish Air Force and was instrumental in the modernization of Polish military aviation. He also served in the Austro-Hungarian Army, Polish Legion, French Air Force, French Foreign Legion and Royal Air Force. Despite his illustrious military career he was a controversial figure. Thrust into circumstances beyond his control, he refused to submit to allegations of wrong-doing. 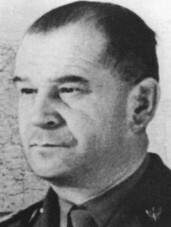 After the joint German-Soviet invasion of Poland, Rayski along with many other high-ranking officers evacuated and headed for France through Romania and Hungary. Many Polish soldiers and officers never made it to France as they were captured and interned. 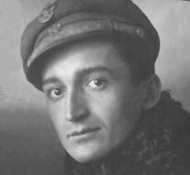 When Rayski finally arrived in France he reported to General Zajac, ready for duty in the PAF, but was flatly refused. Apparently, Rayski and many other Polish officers were made scapegoats for the Polish defeat in the September Campaign. In protest, he wrote a memo to all the Polish officers criticizing the matter. Polish Command ordered him to report for duty at Carisay, but when Rayski refused he was court martialled and sentenced to ten months imprisonment for insubordination. The sentence was not carried out but instead Rayski was demoted and left without a job. Though he attempted to volunteer for active duty elsewhere he was rejected, first by the French L'Armee de l'Air, and then by the Finnish Air Force after they had employed him only briefly. After the German invasion of France, Rayski escaped to England along with many other Polish forces, but met with more tribulation, and was interned at Rothesay on the Isle of Bute, in Scotland. After two months he was released and was permitted to transport planes for the allies between Asia and North Africa. With the tragic accident of General Sikorski on July 4, 1943, the new commander, General Kazimierz Sosnkowski allowed Rayski to return to active service. At the same time Sosnkowski resumed the court martial proceedings and in the following year after a trial by jury, Rayski was finally acquitted of all charges and the verdict declared him not guilty. Throughout his service with the RAF, Rayski flew a total of 1,519 hours of combat. However, he was never given back his rank as General. Awards and Decorations: Silver Cross of the Virtuti Militari; Commander's Cross with Star of the Order of Polonia Restituta; Officer's Cross with Star of the Order of Polonia Restituta; Cross of Independence; Cross of Valor (4x); Gold Cross of Merit (2x); Warsaw Uprising Cross; Order of the Cross of the Eagle Class II (Estonia); Officer of the Legion of Honour (France); Distinguished Service Order (UK); Air Force Cross (UK); Italy Star (UK); Gallipoli Star (Ottoman Empire); Field Pilot Badge; and Badge for wounds and injuries (3x). Józef Ludwik Zając (1891-1963) was a Polish pilot and General. He had graduated from Jagiellonian University with a PhD in philosophy in 1915. In 1912 he joined the Riflemen's Association and enrolled in an officer's training program. During World War I he commanded several regiments of the famous Polish Legions, and joined the Blue Army of General Jozef Haller. Zajac fought in the latter phase of the Polish-Soviet War and became Chief of Staff of the Operational Group "Wisla" of several Polish army divisions. During the interwar period he attended the military college in France, Ecole Superieure de Guerre and in 1924 he was promoted to Brigade General. By February 1939 he had replaced General Ludomil Rayski as Commander of the Polish Air Force. 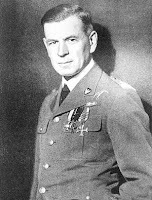 Zajac was a firm proponent of the theory of air superiority in which he placed greater emphasis on fighter planes than bombers, but there was no time to exploit these ideas. When WW2 broke out, Zajac escaped and made his way to France. When France was invaded he evacuated to England and was appointed Deputy Commander of the Polish 1 Corps. The following year he was commander of the Polish Air Force in the Middle East, then promoted to Division General. He served also as Deputy Commander of the Polish Army in the Middle East until 1943. At the end of WW2 he settled in Edinburgh where he earned another PhD in philosophy and devoted his life work to academia. During his career he published numerous books on the subject of psychology, military science, as well as his memoirs. Honours and Awards: Silver Cross of the Order of Virtuti Militari; Commander's Cross of the Order of Polonia Restituta; Officer's Cross of the Order of Polonia Restituta; Cross of Independence; Cross of Valor (4x); Gold Cross of Merit with Swords; Merit of the Forces in Central Lithuania; Military Merit Cross (Austro-Hungary); Companion of the Order of the Bath (UK); and the Chevalier of the Legion of Honour (France). 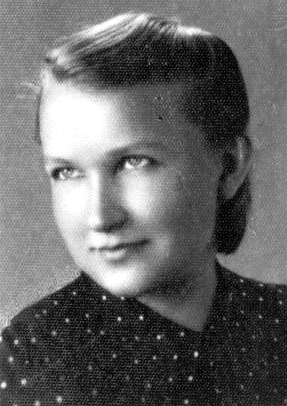 Elżbieta "Zo" Zawacka (March 19, 1909 - January 10, 2009) graduated from the University of Poznan majoring in mathematics and worked as a teacher. At the same time she was working secretly as an instructor for an underground paramilitary organization for women, the Przysposobienie Wojskowe Kobiet (PWK). When World War II broke out she became the Commander of the the PWK and led the defence of the city of Lwow. A month later she joined the Silesian branch of the ZWZ and the following year relocated to Warsaw to begin working as a courier transporting documents from nazi-occupied Poland to London and back. She also organized routes for the other couriers. She was appointed Deputy of Zagroda, the Department of Foreign Communication of the Home Army. Zawacka was retained as SOE agent for England and travellied across perilous routes through Germany, France, and Spain to Gibraltar. From there she was transported by plane to London where she commenced intensive training in parachute jumping. On September 10, 1943 she was dropped into Poland and was the only woman to have been a member of the famous Cichociemni. Zawacka fought in the Warsaw Uprising in 1944.After Warsaw surrendered, she relocated to Krakow and continued her underground activities. In 1945, she joined an anti-communist organization called Freedom and Independence but resigned soonafter to commence a teaching position. In 1951 Zawacka was arrested and tortured by the notorious Soviet Urzad Bezpieczenstwa (Security Service of the Ministry of Internal Affairs). She was sentenced to 10 years imprisonment for treason and espionage but sentence was commuted and she was freed in 1955. Henceforth she resumed her academic studies enrolling at Gdansk University for a doctorate degree, Zawacka became a tenured professor at the Institute of Pedagogy at Mikołaj Kopernik University in Toruń where she founded the department of Andragogy. During the 1980s she participated in the Solidarnosc movement. On May 3, 2006 President Lech Kaczynski promoted Elzbieta Zawacka to rank of Brigadier General of the Polish Army. She was the second and last women in the history of the Polish Army to have received such an honour. Awards and Decorations: Order of the White Eagle; Order of Virtuti Militari; Silver Cross (2x); Cross of Valor (5x); Commander's Cross with Star of the Order of Polonia Restituta; Officer's Cross with Star of the Order of Polonia Restituta; Gold Cross of Merit with Swords; Home Army Cross; Army Medal; Medal Pro Memoria.